Jewelry: 10K Gold Triple Link Charm Bracelet. Discount Jewellry. Polished Size: Various More Info: Beautifully display any collection of charms with this triple link bracelet! 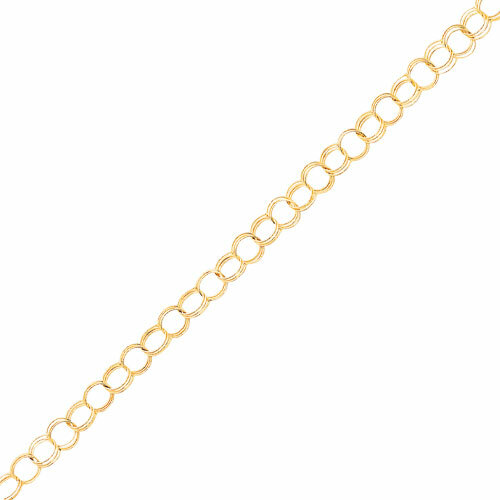 10K Gold is formed into gorgeous bracelet of interlocking rings. Gold finish is polished, as bracelet features lobster claw clasp. Bracelet is also very lightweight!